CEOCFO: Mr. Phillips, what is the concept behind Customer Evolution? 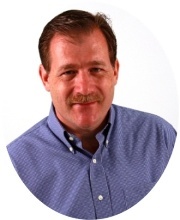 Rich Phillips: Our team has a rich heritage in cultivating customer relationships at scale. We have learned that from working with some of the best executives, strategists and marketers in the world outside of healthcare. Our mission is to bring that knowledge into healthcare and to help organizations establish a different consumer-patient relationship than they have in the past through a number of proven methods and technologies. CEOCFO: Are doctors and hospitals looking to establish a better relationship or is it more that patients are demanding something better? Rich Phillips: In some ways, patients are driving this. In some ways, progressive health systems are actively pursuing a differentiated experience. Nearly every health system understands that they have got to do a better job in creating an improved experience and establishing a better relationship with their consumer-patients. Much of this need is driven by consumer expectations that have been cultivated over the years in non-healthcare markets; patients now expect healthcare to offer the same quality experience which they enjoy in hospitality, retail and even auto repair � all of which often provide a better experience (and self-management tools) than what is commonly experienced in health care. CEOCFO: How does End2End� Connected Care Journey Management work? Rich Phillips: There are a number of principles in play. The first is that health systems have often implemented solutions which narrowly serve a single point in time to deal with a narrow aspect of the customer journey. For example, the customer is in for an encounter and there is a technology called �EMR� � or Electronic Medical Record system � that serves this clinical journey phase and serves it quite well. Prior to the encounter, there is something called �symptom,� and the patient searches to find physicians that can help address their symptom through website technology. This is an example of just two points in the customer journey that have been addressed by narrow point solutions, and I can describe thirty others where health systems commonly put in place a single solution dealing with a single point in the care journey. This challenge also manifests itself in multi-encounter, chronic care or population health management scenarios. Health systems are increasingly trying to address care needs before they escalate into a high-acuity problem which is both life-impacting and of high financial consequence. The Customer Evolution team leverages our expertise in both strategies and technology-enabled solutions to produce what we call the �connected care journey.� Our solution to manage healthcare patient journeys, End2End, improves patient experience and care outcomes. CEOCFO: How would a health system implement End2End? Rich Phillips: End2End is crafted to target four key areas in order to simplify where to start. One area is known as access which addresses the initiation of a patient relationship all of the way through the first encounter. We call this module Access Manager. The second module is called Journey Manager, which provides deep journey management capabilities for chronic care, for extended care services such as expectant mom or new mom, for population health management and value-based care, and finally for health systems that are interested in dramatically improving the patient experience. With personalized, dynamic management of a patient�s journey, we can drive better health outcomes. The third module, Loyalty Manager, addresses retention and customer loyalty in healthcare by incenting patients to do the right thing at the right time. Similar to incentives consumers are accustomed to in other industries, patients are rewarded for healthy activities, utilizing the appropriate services and staying on their plan of care, just to name a few. The fourth module, Referral Manager, deals with the physician-to-physician relationship and referral process, where health systems are trying to do what they can in order to manage the business-to-business relationship between physicians. Therefore, there are four distinct ways we can engage with health systems, and we make it very simple, targeting each part of the value chain they are trying to address. Health systems can engage with us in any one of those four areas, and the modules can operate independently or in any combination a health system would choose to be appropriate for them. CEOCFO: There are many personal feelings which define the perceived customer experience. How can you help a health system deal with an individual�s frame of mind or personal preference? Rich Phillips: Your question raises an important aspect of healthcare concerning the desire to improve the consumer-patient experience. An important component of achieving this goal is that different individuals have different value drivers. For some people, efficiency is what matters the most. For others, deep knowledge matters the most. For some, trust matters the most. Any different number of characteristics would drive what is considered to be valuable or important for a specific customer. Typically, those customers fall into different segments, a concept commonly used for marketing leaders. 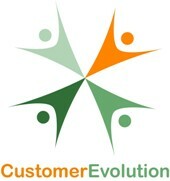 Customer Evolution offers considerable expertise in how to address these needs. First, most health systems are beginning to understand the idea that they need to journey map the customer flow from any point in time to the next point in time, whether that is from symptom through first encounter, or from first encounter to second encounter, or possibly for chronic care and so on. Health systems understand the idea that they need to journey map, but that is only step one. Our view is that health systems should not just journey map � they should journey manage. The same holds true in healthcare, where those signature moments of truth really matter. Similar to non-healthcare journeys, it is crucial for health systems to understand, �What are the signature moments of truth in the patient journey where I really want to make a difference in the patient experience.� It is also important to recognize that each customer segment may have unique value drivers which shape what defines �great experience.� For example, a �medical mom,� who has three screaming kids in the back seat, is going to have a different set of value drivers than an academic leader, who may be more interested in the science regarding, �How are you going to help me with my cancer.� Understanding each customer�s values and needs at those signature moments of truth is key to creating a differentiated experience. The second concept of understanding unique needs falls under the banner called personalization. We have led some of the largest personalization projects in the world within the hospitality vertical, which is a surprisingly good analogy for what happens in healthcare. Customer Evolution is now leveraging many of the same principals and technologies to produce differentiated healthcare journey experience, personalized to individual needs and values. The combination of art and science we bring to this issue forms the foundation to creating a managed journey, offering both a streamlined experience and improved care outcomes. CEOCFO: How do loyalty concepts translate into healthcare? Rich Phillips: There are two main loyalty principles which apply to healthcare: (1) addressing small care needs before they morph into big (and expensive) care needs, and (2) understanding the concept of lifetime relationships between patients and health systems. The idea of points as patient incentives or any means of patient engagement is to invite the patient to take a more active role in their care and to intervene before the health issue grows into expensive chronic care or a life threatening clinical condition. Addressing this issue is beneficial for the patient and, frankly, is beneficial for to health systems, insurance carriers and our economy, because everyone recognizes that one sixth of every dollar is spent on healthcare with this quickly moving to one fifth of every dollar. Healthcare is sometimes rightly called �sick care� because we have not established effective mechanisms for keeping people healthy rather than treating them when they become unhealthy. Patient incentives are one lever which can foster patient engagement in �self-managed care,� offering health systems a vehicle for helping patients make important, discreet decisions now that increase the probability the patient will follow a healthy lifestyle or stay on a healthy plan of care, and thus avoid the need for more expensive care down the road. Regarding the second issue of healthcare loyalty, that of lifetime relationships, this embraces the driving principle of non-healthcare consumer marketers for cultivating customer loyalty, thus affording them the opportunity to earn a greater share of the customer�s needs. Health systems and healthcare marketers have largely focused on encounter-based, or single-service, marketing. Customer Evolution is helping our clients to both understand and capitalize on this powerful concept which manifests itself in several meaningful ways. First, it is 5-25 times more expensive to cultivate a new customer than grow an existing customer relationship; our strategies and solutions significantly increase the ability to cultivate deeper customer relationships. Second, a 5% increase in customer loyalty translates into a 25-100% increase in profit. This is due to the virtuous cycle of companies better understanding and serving customer needs, and customers benefitting from working with companies which best serve their needs. Following this cycle over time accelerates the relationship by increasing the provider�s understanding of and ability to address customer needs and so on. Third, patients which deepen a relationship with a service provider, in this case a health system, increase the level of trust with their care provider and are thus more likely to follow prescribed plans of care and share their positive experiences with friends and family. Our solutions and strategies are based on these concepts. Our mission is to equip health systems with these very principle- and technology-enabled methods in order to improve healthcare outcomes and improve health system financial performance. CEOCFO: With individual doctors� mobility, how do you help a patient and even the health system understand that they should be concerned about the structure of the organization and how you are treated at the organization; not so much the individual doctor? Rich Phillips: First, we absolutely recognize that great physicians provide great care and are the backbone of yielding healthier outcomes for patients. With that said, you are touching on a large and growing issue facing healthcare. Not only are physicians a bit more transient, but so are patients. With each passing day, patients have more information at their fingertips and on their phones. As a consequence, patients are far more inclined to �shop around� than in previous times when nearly all of their health information was provided by their primary care physician. The issue in play here is analogous to what we learned from Toyota. Toyota is not just good because they hire great people. Toyota builds systemic capability, where the people can change, but the method of delivery continues to improve because the quality process is systemic and not dependent on the hero individual. This is an extensible, durable approach for health systems to address patient retention in the face of fluid provider employment models. Our strategies and solutions provide sustainable, repeatable process management in order to maximize the probability of patients following a plan of care, and thus achieving optimal care outcomes. Health systems employ what are called �workflows� to ensure repeatable processes are followed by care providers. We extend this concept by providing patient-facing workflows � which we call patient journeys � as a means of engaging the patient in their care, a key ingredient often missing. In fact, according to a study conducted by John Hopkins University, the annual cost of patients not following their plan of care is a whopping $300 Billion. Further evidence of this problem was identified by the Center for Disease Control & Prevention where they found that 30% of prescriptions for chronic health conditions are never filled and nearly one half of medicines are not taken as prescribed. The alarming, but addressable, issue is that physicians often do not learn of a gap in care compliance, and certainly may not learn until the problem has been manifest in a considerably more complex � and expensive � care need. Our solutions directly target this problem by managing the care journey and notifying providers of a significant care compliance problem. CEOCFO: What is the competitive landscape? Are many people realizing what you recognize for Customer Evolution or is it still not really understood enough? Rich Phillips: We are finding that the customer base, the executives inside of health systems, increasingly understand these issues. What these executives crave are answers and solutions for how they can actually achieve these outcomes. In many cases they are being taught the wrong approach by other voices in the healthcare industry. To that end, we do not encounter many competitors who truly understand these issues; in many cases our competition is actually teaching our customer to do the wrong thing. However, we are, as actively as possible, involved in thought leadership and solution development to equip healthcare leaders with the very answers they seek. We have enjoyed great success in sharing these principles with our clients, and most of them are actively moving through transformation roadmaps to build these capabilities over a planned horizon. We are now experiencing considerable momentum as healthcare leaders adopt these time-proven practices. Our mission is to help transform the industry and to help people become and remain healthier. For that to happen, we will need to reach as many leaders as possible to share these ideas and foster their embracement of transformative methods.